On Saturday 30th August, Team Elite will be at our amazing sponsors Specialized Signs! We will be outside the building performing our brand new dance routines, stunts and tumbles as we promote our fantastic sponsors! Come along and pop into the shop to see the amazing offers available from Specialized Signs and check out our latest routines! On Sunday 23rd November Elite will be on George Street in Edinburgh performing as part of Edinburgh's Christmas Light Night Opening Ceremony!! We'll be performing on the main Gold stage between 2.30 and 4pm with the Christmas Lights to be switched on at 5pm! With expected crowds of 26,000 be sure to get there early and soak up the atmosphere! 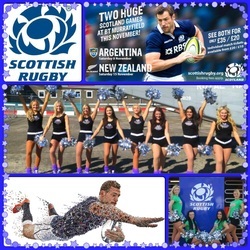 Team Elite are buzzing to perform at the Scottish Rugby Autumn Tests as we see the Scotland Team take on current world champions New Zealand at Murrayfield Stadium on Saturday 15th November. Likely to be a sell out match of 65,000 Team Elite will be there performing our biggest routines with loads of big stunts and tumbles! The Poppy Appeal for 2014 is well under way and Team Elite will be front and centre this weekend as the official Poppy Appeal Cheerleaders! We'll be at the St James Centre, St Andrews Square and The Mound wearing our specially designed super sparkly Poppy Tshirts! We're also running childrens workshops throughout the day so if you're in town and want to learn how the professionals do it come along and have a go! Team Elite are going to be in Edinburgh city centre all day on Thursday 30th October for the official start of the Poppy Appeal! We'll be performing at St Andrews Square and The Mound! We have 5 big routines with lots of stunts and tumbles, so come on down and where your poppy with pride with Elite Pro Dance! We've been involved in lots of events with our Charity partner for the year PoppyScotland and are delighted to have been asked to attend the launch of the 2013 Poppy Appeal hosted by Rt Hon Tricia Marwick at the Scottish Parliament! We're putting down our pom poms for this evening to learn more about how donations to the Poppy Appeal can change the lives of our heroes. Its officially the October school holidays and what better way to kick them off than to meet some of the Glasgow Warriors and Scotland Team!! Team Elite will be in Glasgow at this event promoting the Autumn Tests! There's loads going on, as well as meeting your favourite rugby stars, there's qualified coaches, games, prizes and giveaways and its all free! Its an event for all the family so we hope to see you there! On Saturday 11th October, Team Elite are descending upon Glasgow's city centre and the St Enoch's centre! 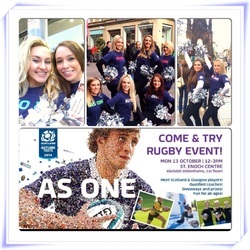 We'll be there promoting the Autumn Tests, as well as promoting Scottish Rugby's Come and Try Family Fun Day as part of the Scotland As One Campaign! Should be a great day! On Saturday 20th and Sunday 21st September the CEV Beach Volleyball Continental Cup is coming to Portobello Beach in Edinburgh! This competition an Olympic Qualifier for Rio 2016 and will be shown on Sky Sports! Team Elite will be performing exclusively for the Scotland Team and we cant wait to watch these athletes in action! 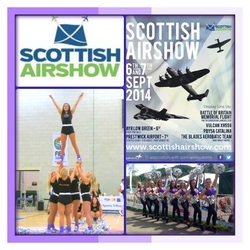 On Sunday 7th September Team Elite will be at Prestwick Airport as part of the Scottish Airshow! Crowds of over 20,000 are expected to be at this event over the weekend so its not to be missed! We'll be performing and getting involved with all the fun at the West FM stand! Team Elite cant wait to see the Static Air Display, including the Vulcan Bomber and the Lancaster Bomber! Elite are delighted to announce that they have been selected to be part of the Homecoming 2014 Celebrations at the Forth Bridges Festival on Saturday 6th September! As well as celebrating 50 years of the Forth Road Bridge, Team Elite will be there as this special event 'Welcomes the World to Lunch' in South Queensferry! We will be performing our latest routines, running childrens workshops and getting involved with all the fun hosted by Forth FM! We cant wait! On Saturday 6th September, Team Elite will be performing at The Scottish Airshow at The Low Green in Ayr! Its the first time the airshow has been held in Ayr for 22years! Team Elite will be there all weekend and cant wait to be part of this special event! There will be an air display from The Blades Aerobatics Team, a Battle of Britain Memorial flight and even the last ever Vulcan will be in the air! We'll be showing off our new routines and teaching kids some cheerleading moves, its an event for all the family and its free, so be sure to come along! With the support of RBS, Rugby Force day is a chance for clubs to open their doors and encourage new players, members, supporters, volunteers and supporters to get involved in Rugby! 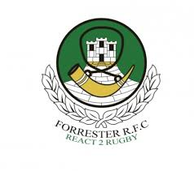 Team Elite will be performing at Forrester Rugby Club and hopefully catching up with some of the Scotland Team! We can hardly believe it but Team Elite are performing at the Commonwealth Games! We will be at the Diving event at Edinburgh's Royal Commonwealth Pool on Wednesday 30th July, supporting Team Scotland diver James Heatly in his bid for the Men's 1m Springboard! We'll be cheering for you James! In the finale to the Basketball season, Elite Pro Dance will exclusively be performing at the Basketball Scotland Home Internationals! Kicking off on Saturday 28th June we will be cheering on the Scotland Men and Womens team all weekend, with loads of surprises in store its worth coming along! 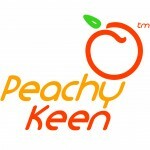 In one of our more unusual events, a few of Team Elite will be going to the Peachy Keen factory to help them film their new web content. Peachy Keen is a company specialising in Human Energy, one of their many inspiring innovations is using cycling as a way to create electricity! We'll be cycling their bikes demonstrating how the electricity created can be used to power lights, televisions, blenders you name it! It will be a really fun day! We will be dancing at our second PR event for Specialized Sign's on Saturday 21st June. Here you will see us outside the building performing a variety of dance routines, stunts and tumbles as we promote our fantastic sponsors! Come along and pop into the shop to see the amazing offers available from Specialized Signs as well as our fantastic performances! Elite will be performing on Friday 20th June at the Scotland U18 Men Basketball match against Sweden! This will be a great game in the lead up to the Home Internationals the next weekend! As per usual Elite have some surprises up their sleeves so watch out for some exciting performances from us! We can't wait to go out to Ratho to perform at the European Indoor Climbing Championships. Elite will be performing to a crowd of a few thousand! The best of Europe's climbers battle it out to be crowned champion and spectating is free for all the family! Stay tuned for exciting pictures and videos following this event. 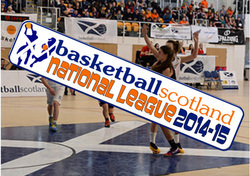 Elite are partnering again with Basketball Scotland for the Summer Slam! In our second series of gigs, we will be performing at the Summer Slam in Stirling! This event will no prove to be a thrilling occassion for all the family! Elite will be there entertaining the crowds with new routines, its definitely worth coming along! Team Elite are performing at Forrester High School Commonwealth Games day on Thursday 12th June! We are dedicated to encouraging young people into dance and exercise and hopefully our performance will motivate the pupils to learn some new skills! 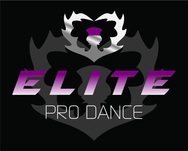 Elite Pro Dance are performing at Queensferry High School Dance Show on Wednesday 11th June. Our raison d’etre is to encourage young people into dance and exercise and we hope we can inspire the children to have a go! You’ve no doubt heard already but the one and only Gumball 3000 rally rolls into Edinburgh for the first time on Sunday 8th June! We’ll be there supporting Ferrari Pilot Josh Cartu and Team Wolfpack! We cant wait to sit in a supercar and meet the Hoff! Elite dancer Nessy has invited us to perform at the Bathgate Procession on Saturday 7th June, with over 15,000 expected spectators we’re looking forward to a great day! We’ll be there promoting her new business Funky Fitness! Come down to find out more about how to sign up for kids dance classes and sports summer camps! Team Elite have been invited to attend the 42nd Annual Thirlestane Car Rally at Thirlestane Castle! There is an American theme this year, along with a traditional fair, with 6000 visitors expected this is an event for all the family! Team Elite are back at Gardening Scotland on Sunday 1st June with Poppy Scotland! With over 40,000 visitors expected to attend this event Elite cant wait to perform! It should be a fantastic weekend and we are delighted to be a part of it, representing Team Poppy! 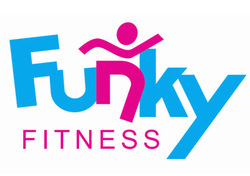 Elite girl Vanessa has started her own Business - Funky Fitness! We'll be supporting Nessy and performing at Bathgate Street Fair on Saturday 31st May to help promote her new business! We're so proud of you Nessy! We had so much fun at the Edinburgh Marathon that we are teaming up with Poppy Scotland at Gardening Scotland on Saturday 31st May! Elite will be performing our latest routines stunts and tumbles for the green-fingered! Elite Pro Dance will be representing the Starley Primal Pro Cycling Squad at the Pearl Izumi Tour Series on Thursday 29th May! This is the first time the tour series has come to Edinburgh and is Britains largest televised cycling race! We’re looking forward to waving for the cameras and hopefully meeting our friend Sir Chris Hoy! 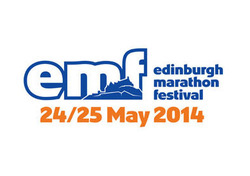 In our second event with Poppy Scotland, Elite will be performing at the Edinburgh Marathon Festival on Sunday 25th May. Elite will be cheering on the runners as they complete the gruelling 26.2 mile course! Elite will be back at Forrester again but this time to help celebrate their 50th Anniversary! Forrester are hosting a massive weekend of rugby and on Saturday 24th May will be hosting a Rugby 10s and a Rugby 7s tournament! Team Elite will be there supporting and performing the whole day so come along! On Thursday 22nd May Team Elite will be attending the Poppy Scotland press launch for their Tea and Toast campaign! We’re looking forward to meeting some of the veterans and promoting this great event! Team Elite are heading down to the Borders for this gig! The Muckle Toon Adventure Festival promises to be a weekend for all the family, with mountain biking, guided walk, and fancy dress there's something for everyone! Elite will be there on Sunday 18th May to dance, stunt, tumble and run kids cheer workhops for those attending, we cant wait! Team Elite are involved every day at the Edinburgh 7s Festival! This event sees many sports come together in a fun packed weekend! Rugby 7s, Netball, Hockey, Beach Volleyball and Dodgeball are just some of the team events going on! We'll be promoting the 7s on Friday, performing at the final on Saturday and performing and running kids workshops on Sunday! Should be a great weekend! 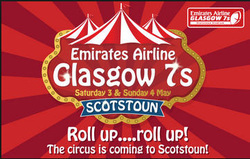 Team Elite will be helping out the SRU in promoting the Emirates Airline Glasgow 7s on Friday 2nd Mayl! We will be at Glasgow Queen Street and Central Stations so pop in if you want to find out more about the Glasgow 7s and maybe even see a few stunts! We will be performing at the 7s on Saturday 3rd May where you will be sure to see some great rugby and awesome dancing! Elite will be dancing at the RABO Direct Pro 12 Edinburgh Rugby vs Glasgow Warriors derby match at Scotstoun Stadium on Saturday 26th April. We will be hosting some kids workshops with Warriors mascot Clyde the coo and entertaining the expected sell out crowds with our new routines! We cant wait! 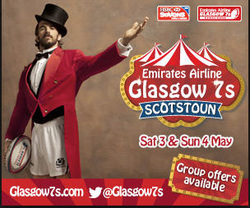 Team Elite will be helping out the SRU in promoting the Emirates Airline Glasgow 7s on Friday 25th April! We will be at Glasgow Queen Street and Central Stations so pop in if you want to find out more about the Glasgow 7s and maybe even see a few stunts! We will be performing at the 7s on Saturday 3rd May where you will be sure to see some great rugby and awesome dancing! Elite Pro Dance are so excited to be attending the RBS Club Cup Finals Day in partnership with the Scottish Rugby Union and Emirates Airline Glasgow 7s. Eilte will be dancing for each of the 4 matches in the deciders for The Cup, The Bowl, The Shield and The Sarah Beaney Cup. We will also be hosting some kids workshops so be sure to come along and join in the fun! Elite will be performing at their very own race night which will be held at Forrester Rugby Club. Here we will have a fun filled night of performing our brand new routines as well as a very special performance from Elite Pro Dance and the Forrester rugby team! Stay tuned for pictures and videos following this event! 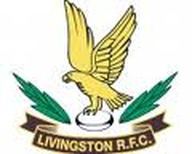 In what is generally regarded as the best Sevens event in Scotland! Elite will be performing to crowds of 20,000 fans at Melrose Sevens on Saturday 12th April! Once again we will be partnering with the Scottish Rugby Union to promote the Emirates Airline Glasgow Sevens, be sure to watch out for us performing! Elite are back at the Scottish Bike Show for the second day of events at the Chris Hoy Velodrome! We are there to support Team Poppy our PR Partner for the year! There will be loads going on including a cycling challenge! Hope to see you at there! 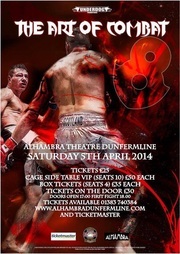 Elite will be dancing at Alhambra Theatre in Dunfermline where you will see us performing at the intervals! We cant wait to be involved in this event! Be sure to get your tickets in advance and we will see you there! Elite are partnering with the Scottish Rugby Union to promote the Glasgow Sevens at the Viper Sevens at New Anniesland in Glasgow! Elite are looking forward to cheering on the teams, dancing and promoting the Emirates Airline Glasgow Sevens on 4th and 5th May 2014. We are so honoured to have been chosen as Poppy Scotland's PR Partner for the year! Our duties kick off with the Scottish Bike Show at the Emirate Arena and Chris Hoy Velodrome on Saturday 5th April! We will be supporting Team Poppy at the event and none other than Sir Chris Hoy himself will be in attendance! Excited doesn't even cut it! Elite are so excited to partner with Basketball Scotland this season! In our first gig, we will be performing at the National League Play offs at the Pleasance on Friday 4th April! This event will no doubt be a thrilling final for the senior men! Elite will be there entertaining the crowds with new routines, its definitely worth coming along! 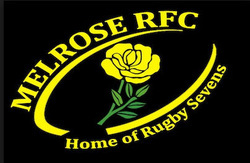 Elite will be attending RBS Premiership contenders Melrose RFC's last match of the season against Currie!! We will be dancing pre-match and half-time at this exciting match in the Scottish Borders! 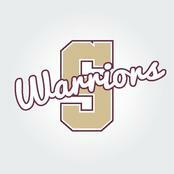 We are going to Glasgow to take the Strathclyde Warriors Cheerleading Squad for a stunts workshop! We are so excited to be supporting our cheer sisters with their competition prep! 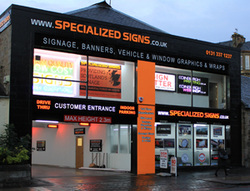 We will be doing our first PR event for Specialized Sign's open day. Here you will see us outside the building performing a variety of dance routines, stunts and tumbles as we promote our fantastic sponsors! Come along and pop into the shop to see the amazing offers available from Specialized Signs as well as our fantastic performances! We will be working with the team as they teach us some rugby skills. After this we will be puting them through a flexibility session and getting them to join in with some dancing and stunting! Keep an eye out for pictures and videos following this event!